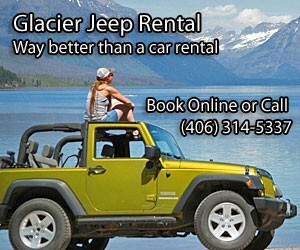 If you're taking the train to the Glacier area and need a rental vehicle, our Jeeps are the perfect compliment to your trip. See our models, rates and availability. The Whitefish train station is located in downtown Whitefish. Amtrak’s Empire Builder route travels between Chicago, Illinois and Seattle, Washington, passing through northern Montana. 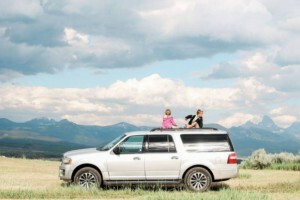 In northwest Montana it stops at Havre, Shelby, Cut Bank, Browning, East Glacier, Essex, West Glacier, Whitefish and Libby before crossing into Idaho. Address: 500 Depot Street, Whitefish, Montana. Services: This station has a ticket office and indoor waiting area. Distance to Whitefish: 0 miles - it's located right in downtown! Getting Around: The Amtrak station is conveniently located in downtown Whitefish, so you can just get off the train and walk or take a quick taxi to your hotel. Budget and Dollar offer rental cars right at the train station. 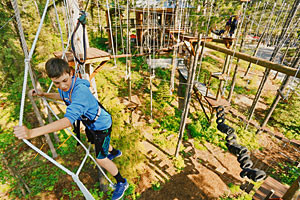 A number of tour companies and guide services are available from Whitefish. The Empire Builder runs daily. To Seattle: If departing from Whitefish, the train leaves once daily bound for Seattle at 9:16 pm, so there won’t be much to see along the way. From Seattle: If departing from Seattle for Whitefish, the train departs once daily at 4:40 pm and travels overnight arriving in Whitefish at 7:26 am. Weather permitting travelers will have a chance to enjoy the sunrise over the mountains between Idaho and western Montana.